The English Club TV team gathers the whole family in front of the TV screen. English Club TV has prepared a big surprise for its regular and new viewers. As of the 12th September 2016, according to the old tradition, the world’s best movies and cartoons will be broadcast from Monday to Sunday on the English Club TV channel. Among the movies are blockbusters such as The Imitation Game, The Book of Life, Blended, The Theory Of Everything, The Great Gatsby, My Big Fat Greek Wedding, The Other Woman, Midnight in Paris, etc. 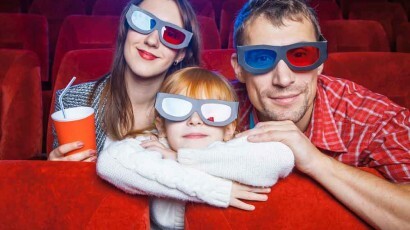 Children will enjoy world most famous cartoons such as Kung Fu Panda 1-2, Shrek 1-3, Harry Potter, Despicable Me, Rio, etc. Watching movies and cartoons help viewers to immerse in the English language and improve their speaking skills. All movies are broadcast with subtitles and a special pre-teaching section to learn new words and word combinations. Watch the movies every day at 7:10 pm CET (for European and CIS countries) and at 8:00 pm (for the Americas). Watch the movies from Friday to Sunday at 9:00 pm SGT (for Asian and African countries). The English Club TV Group is a group of production, edutainment and distribution companies that operates worldwide in the field of English language education. The English Club TV Group is a family of brands such as the educational channels English Club TV, English Club TV HD and the online service English Club TV ON-THE-GO. For more information visit www.english-club.tvEnglish Club TV is a unique educational channel for those who want to learn and improve their English. The English Club TV Channel is available via Astra4A, Measat3A and Hispasat 30W-5 satellites which cover the European, Asian, African, North and South America continents. Every day more than 24 000 000 subscribers of more than 400 operators watch English Club TV in 76 countries around the world. English Club TV content is available through OTT, VOD, DTH, IPTV and mobile platforms.